Nationally, the University of Phoenix received nearly $1 billion from the new GI Bill over the last five years. More than 100 for-profit colleges are so dependent on taxpayer money that they would be violating a law designed to prevent profiteering if not for a loophole that excludes GI Bill funds and Department of Defense tuition assistance to active duty military. That’s the upshot of an internal Department of Education analysis obtained by The Center for Investigative Reporting, which was completed this summer but never publicly released. The federal law known as the 90/10 rule bans for-profit schools from receiving government funding if schools draw more than 90 percent of their funding from federal student aid programs. The report stems from a 2012 executive order by President Barack Obama in response to the exploitation of veterans and service members by for-profit colleges. 1. 133 for-profit colleges get more than 90 percent of their revenue from taxpayers. Department of Education analysts identified 133 for-profit schools that are almost completely subsidized by taxpayers, receiving more than 90 percent of their revenue from a combination of Pell Grants, Stafford Loans, GI Bill funds for veterans and Department of Defense tuition assistance to active duty military. They range from small proprietary trade schools like Trendsetters of Florida School of Beauty & Barbering in Jacksonville to for-profit giants owned by publicly traded companies, including the University of Phoenix, Ashford University, Strayer University and Colorado Technical University. Taxpayers paid $9.5 billion to these for-profit colleges in 2012, including $8.8billion from Pell Grants, Stafford Loans and other financial aid programs administered by the Department of Education; $90 million from military tuition assistance; and $636 million from the Department of Veterans Affairs. Overall, these schools received 92.5 percent of their revenue from taxpayers. Instead, he said, it shows that students at for-profit schools need financial aid. “These people don’t have any money. They are cash-strapped,” he said. 3. 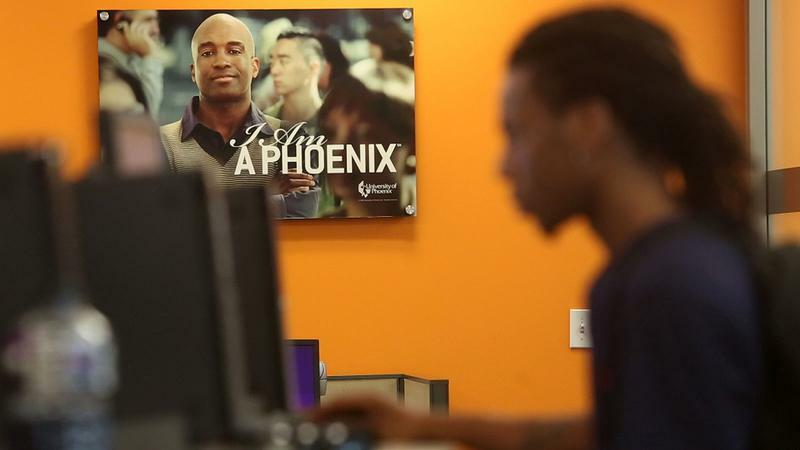 The University of Phoenix got $3.7 billion from taxpayers in one year. Among schools that would have violated the 90/10 rule, the University of Phoenix was by far the largest recipient of taxpayer subsidies, accounting for more than a third of the $9.5 billion total. The for-profit college chain received $3.4 billion from the Department of Education during fiscal 2012, along with $32 million from the military and $206 million from the VA. 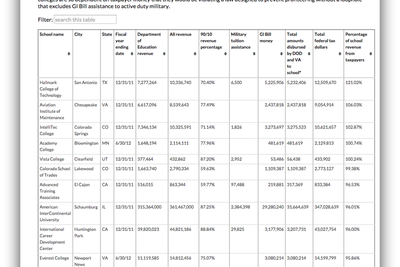 In June, The Center for Investigative Reporting revealed that the University of Phoenix to be the largest recipient of taxpayer money under the post-9/11 GI Bill. The for-profit education conglomerate had received nearly $1 billion in tuition assistance for Iraq and Afghanistan veterans between 2009 and 2013. Its San Diego campus alone got $95 million in GI Bill money, more than the entire University of California system and UC extension programs combined. The school’s overall graduation rate is under 15 percent, according to the Department of Education, and more than a quarter of students default on their loans within three years of leaving school. In recent years, lawmakers have tried again and again to close the 90/10 loophole, but every effort has failed. The most recent attempt, by Reps. Susan Davis and Mark Takano, both California Democrats, was killed in minutes by Rep. John Kline, R-Minn., the chairman of the House Committee on the Education and the Workforce. Since he became chairman of the committee in 2011, the University of Phoenix’s parent company has been Kline’s largest campaign contributor. During that time, he has received $57,000 from the Apollo Education Group, more than any other member of Congress. In addition to the 133 for-profit colleges that would violate the 90 percent government funding cap if the loophole were closed, Department of Education audits found 292 proprietary schools were teetering on the edge, getting 85 to 90 percent of their revenue from taxpayers in fiscal 2012. 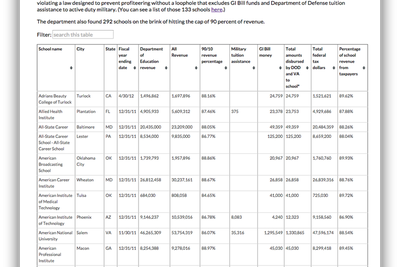 Collectively those schools took in $6 billion from the Department of Education, the military and the VA. The largest for-profit school in this category was Illinois-based DeVry University, which got 88.2 percent of $1 billion in revenue from taxpayers in 2012. To arrive at their conclusions, Department of Education auditors used for-profit schools’ annual financial statements to the Federal Student Aid office that were used to calculate the 90/10 ratio for the 2012 fiscal year. 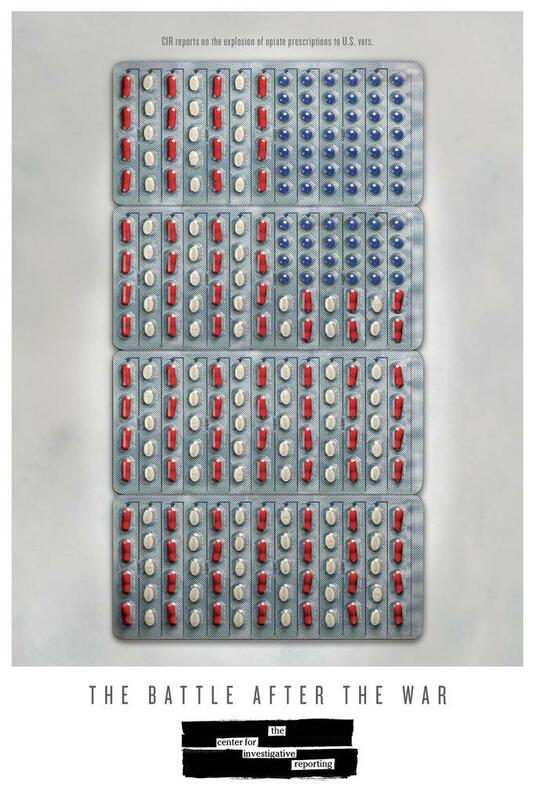 Government analysts then added in taxpayer dollars gained through the GI Bill and Pentagon tuition assistance programs. A technical note attached to the spreadsheets warns that the calculations are estimates and, in a handful of cases, it is clear even to a casual observer that they are flawed. But independent education analysts told CIR this report represents the most comprehensive report to date on government subsidies to the for-profit sector.